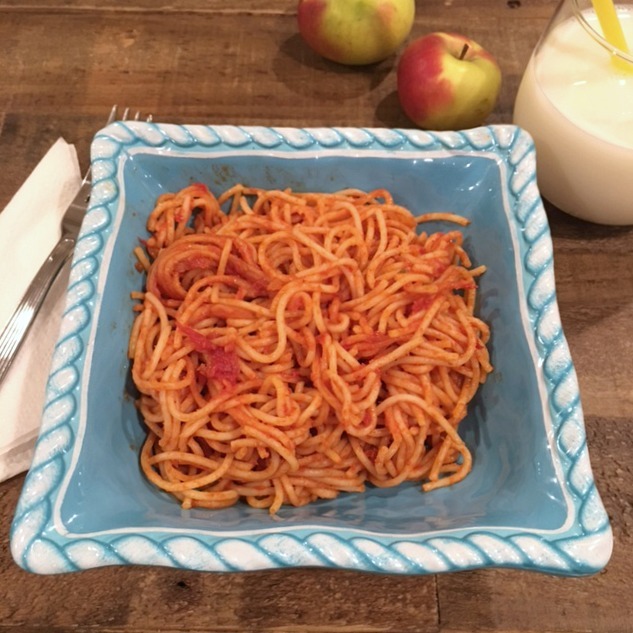 Kid Friendly Spaghetti Dinner – Not only do the kids love this recipe, the adults do too. 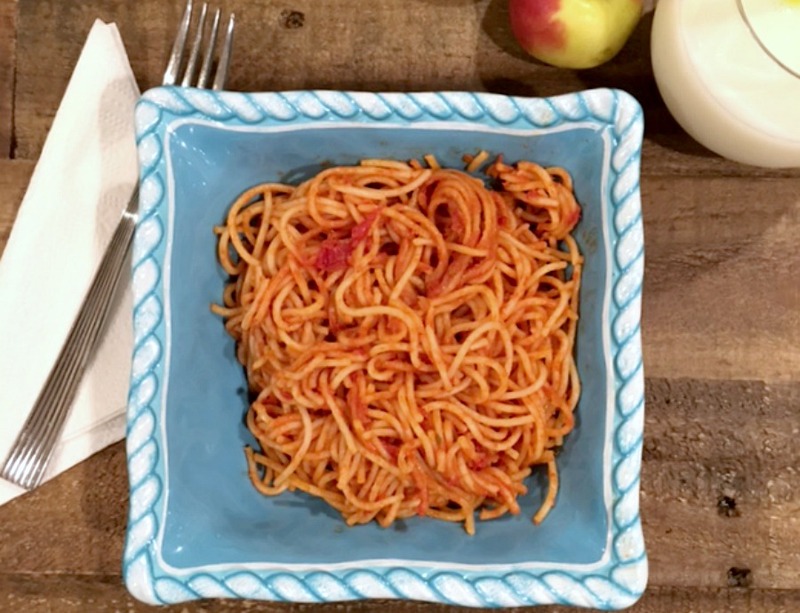 It’s simple with a mild tomato sauce. Enjoy with the whole family! Around my house pasta is a big deal. My son can eat it for every meal and I mean every meal. He loves leftover pasta for breakfast. Hey, who’s to judge. At least he’s eating. The only problem was, he only wanted butter on his pasta. My husband and I tried to tell him that as delicious as butter on pasta is, and it really is. There has to be something other than butter on his pasta. He’s so fussy with jarred sauces and my homemade he eats if we are all eating it but, he says it has too many “things” in it. He’s talking about the diced onions and garlic. I had to come up with a spaghetti sauce just for him. This one he loves and will eat it anytime. No chunks of onions, peppers or garlic. Using onion and garlic powder gives this sauce enough flavor without the texture. Sometimes I add meatballs and he will now eat them. We happen to love this sauce too. It’s a very easy-peasy recipe that is now a staple. Great for chicken or eggplant parmesan and he loves this sauce over ravioli. Give this simple recipe a go at it. Add in what your family likes in a sauce. This is a great basic sauce. Anything you add will be just fine. 1-2 tbsp light brown sugar or granulated sugar. Start with one tbsp and see if it’s the right sweetness. Add more to taste. Empty all ingredients into a medium saucepan. Using a whisk, break up the pieces of tomato paste. Switch to a wooden spoon and mix until combined. Cook over low to medium heat. Bring to a simmer then low boil. Turn down temperature and cover with a splatter screen. Found at Target or even the grocery store. Simmer for about 20 to 30 minutes. Check seasoning after 15 minutes. Adjust to taste. ***Store leftover sauce covered in fridge up to 3 days.